WILL Listen Again and Again! What made the experience of listening to My Fair Junkie the most enjoyable? The Author's narration drew me in from the first chapter and her amazing story kept me listening almost non-stop until the very end. Amy Dresner is a complex, raw, humorous and finally sober storyteller. Have you listened to any of Amy Dresner’s other performances before? How does this one compare? 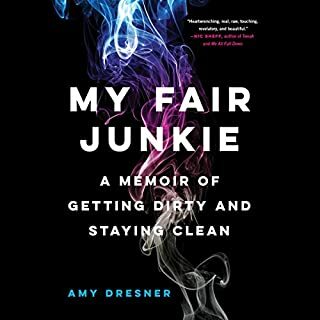 This is the first book of Amy Dresner's that I have heard of, but would definitely read/listen to more! I couldn't get enough of this book. As soon as it was over, I started it from the beginning again. I am now on listen number 3. I read and listen to countless books on alcoholism, recovery and self help, but this is the first time I have listened repeatedly. Fantastic story, narration, and newfound hope. This is an audible purchase you will not regret!